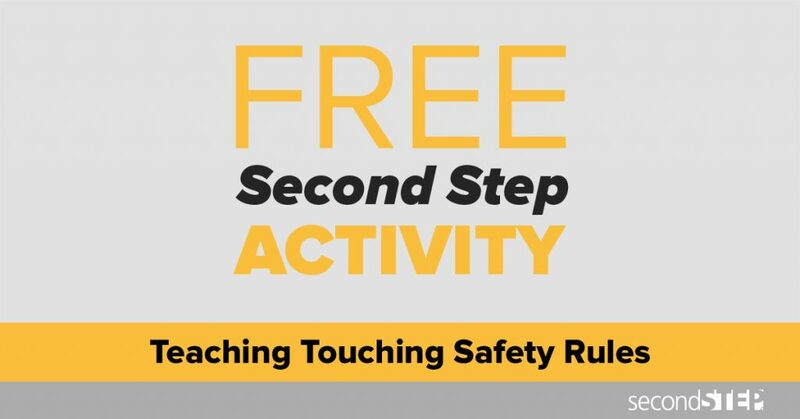 It can be hard for parents and caregivers to know where to start when it comes to teaching kids about personal safety. It can be particularly difficult when teaching them what to do if someone tries to touch them inappropriately. The following topics outline three fundamental areas for parents to talk about with their children. Armed with this knowledge, kids will be better prepared to protect themselves if they’re ever in this scary situation. Children often find it hard to tell adults about sexual abuse because they don’t know the words to use. Learning correct (anatomical) words for private body parts gives children the vocabulary they need and helps them know it’s okay to talk about those body parts. When teaching your young child different body parts, consider using the correct words for private body parts along with words such as “tummy” and “ears.” You can give older children more information, because they’re able to understand more. You can also explain that the parts of their bodies covered by a swimsuit are their private body parts. In addition, do not insist that your children give or receive hugs or kisses from relatives if they don’t wish to. This teaches children that it’s okay to say no to touches from people in their family. Some relatives might expect a hug from your children every time they see them. Tell relatives that you’re teaching your children to be the bosses of their bodies as part of teaching them safety about touching, so they’re not offended by your children’s behavior. Safe touches. These are touches that keep children safe and are good for them, and that make children feel cared for and important. Safe touches can include hugging, pats on the back, and an arm around the shoulder. Safe touches can also include touches that might hurt, such as removing a splinter. Explain to children that when you remove a splinter, you’re doing so to keep them healthy, which makes it a safe touch. Unsafe touches. These are touches that hurt children’s bodies or feelings (for example, hitting, pushing, pinching, and kicking). Teach children that these kinds of touches are not okay. Unwanted touches. These are touches that might be safe but that a child doesn’t want from that person or at that moment. It’s okay for a child to say no to an unwanted touch, even if it’s from a familiar person. Help your children practice saying no in a strong, yet polite voice. This will help them learn to set personal boundaries. Once children can name their private body parts and know about different kinds of touches, you can teach them that there is another kind of unsafe touch that is also not okay. This kind of touch is when someone older or bigger touches their private body parts. How you explain this will depend on your child’s age. Parents should understand that the “clean” part of this rule applies to young children at an age when an adult might help them with diaper changing, going to the toilet, or bathing. The “healthy” part of this rule refers to doctor visits; for example, when the doctor gives a child a shot. An adult family member should always be present at doctor appointments. At some point during their teenage years, it will become appropriate for your children to handle their own doctor appointments. It’s not okay to touch someone else’s private body parts. It’s not okay for someone to touch his or her own private body parts in front of you. It’s not okay for someone to ask you to touch his or her private body parts. It’s not okay for someone to ask you to take your clothes off or to take pictures or videos of you with your clothes off. It’s not okay for someone to show you photos or videos of people without their clothes on. Learn more about Committee for Children’s commitment to child protection, read our white paper Child Protection in Schools: A Four-Part Solution, and get to know our Child Protection Unit to see if it’s right for you. To learn about social-emotional learning (SEL) and the Second Step Program, visit SecondStep.org. Learn more about social-emotional learning, research on the topic, and how it benefits students in the classroom, at home, and in their daily lives.